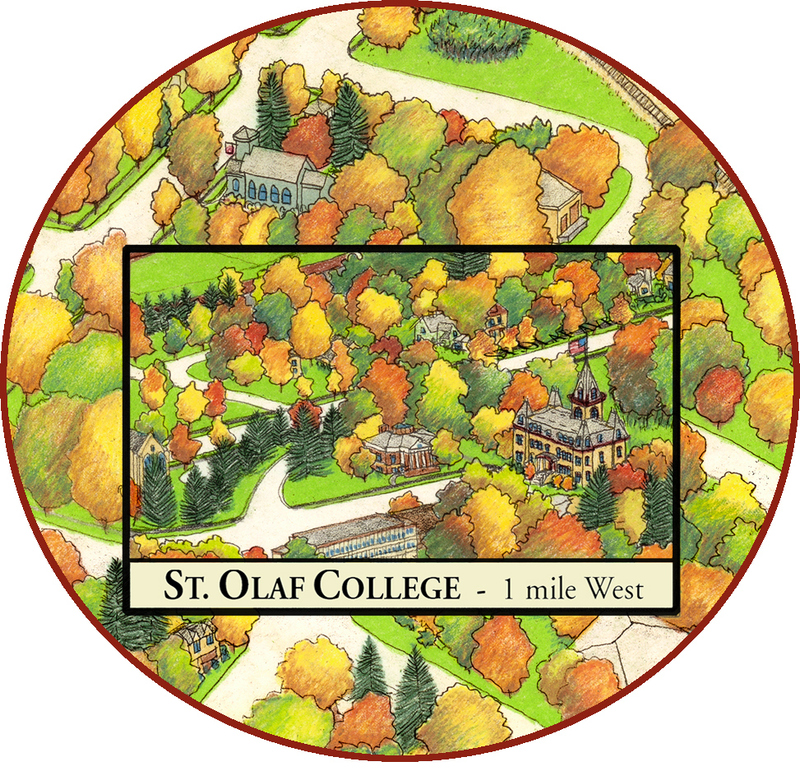 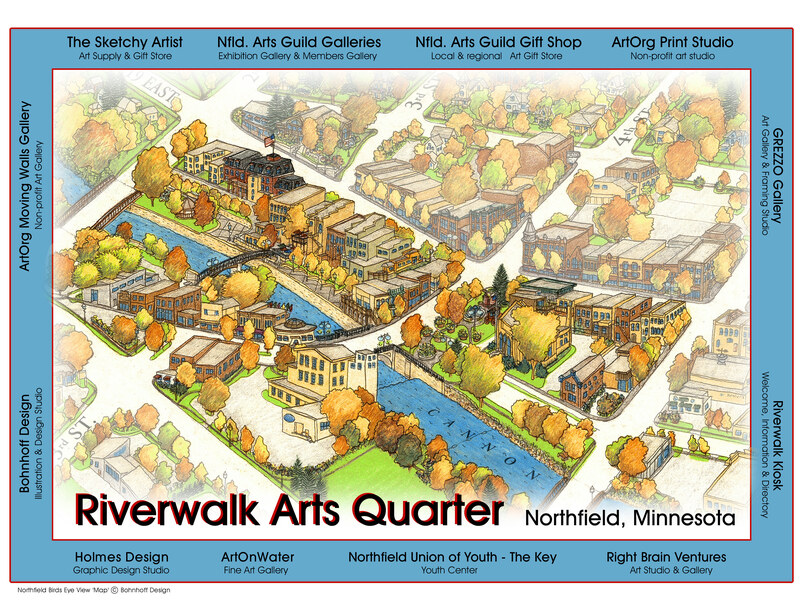 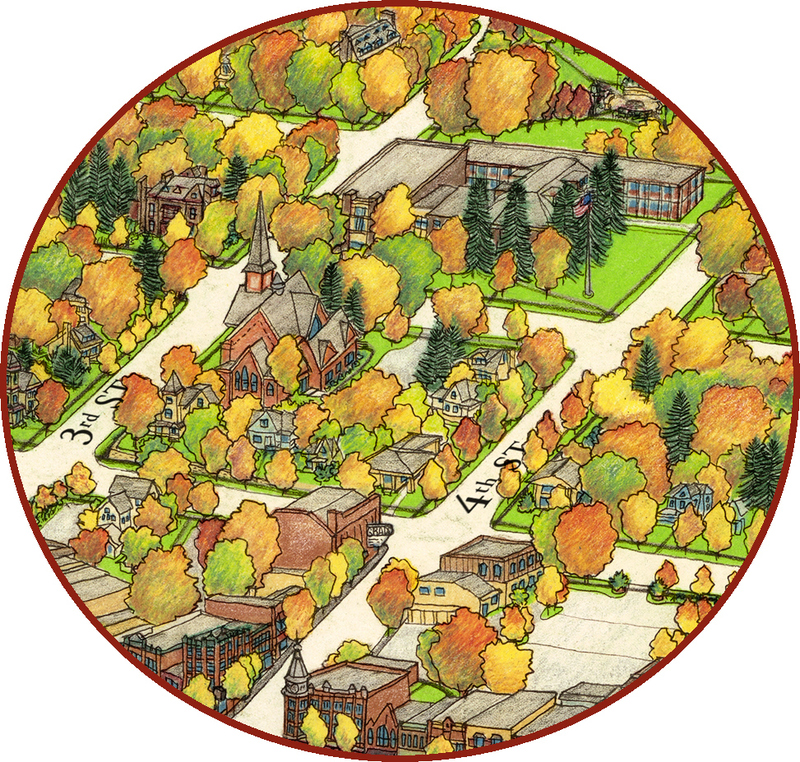 Bird's Eye View 'Map' of Northfield, Minnesota drawn by Jim Bohnhoff using the 1888 C.J.Pauli map as the historic base. 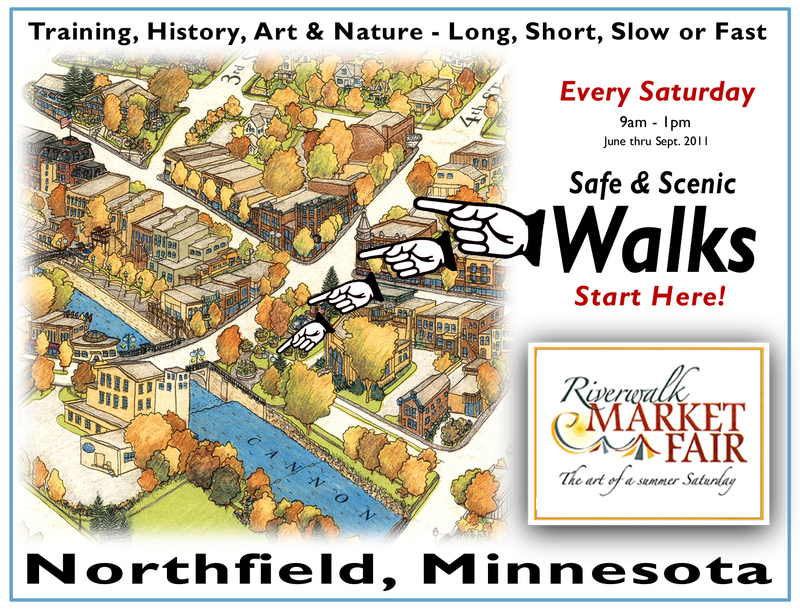 In Celebration of Northfield's Sesquicentnnial. 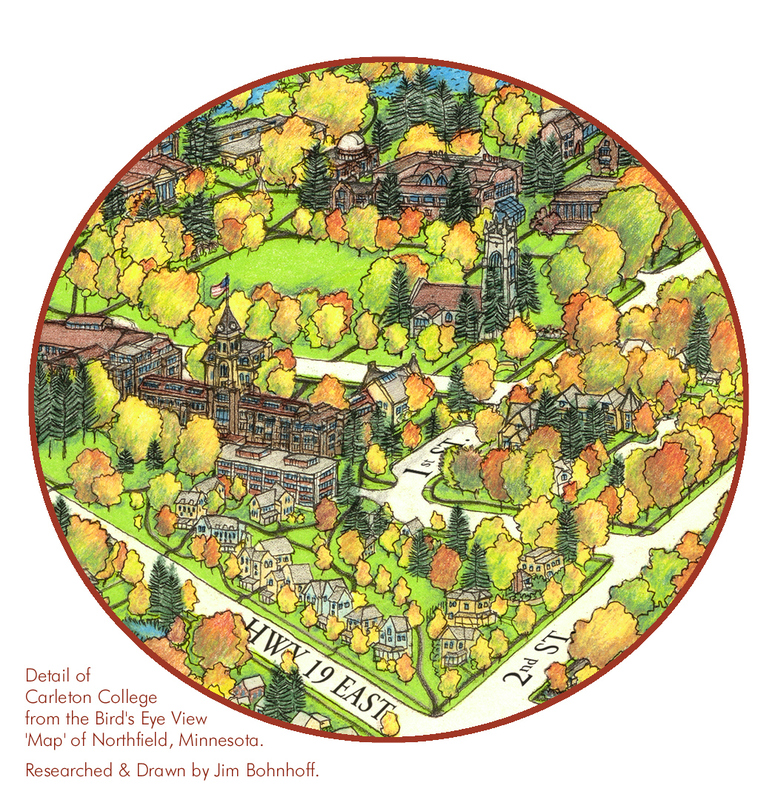 This Bird's Eye View' Map' of Northfield was drawn & published by Jim Bohnhoff using the 1888 C.J.Pauli map as the historic base. 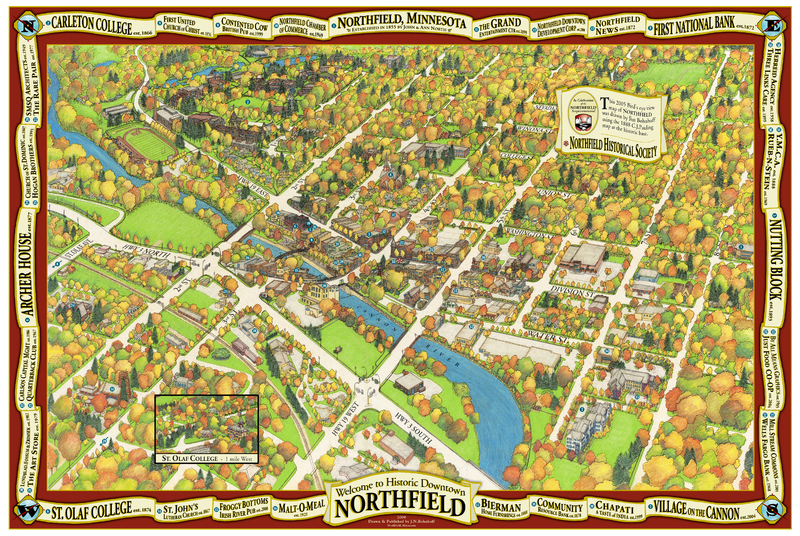 Full size Bird's Eye View 'Map' of Northfield. 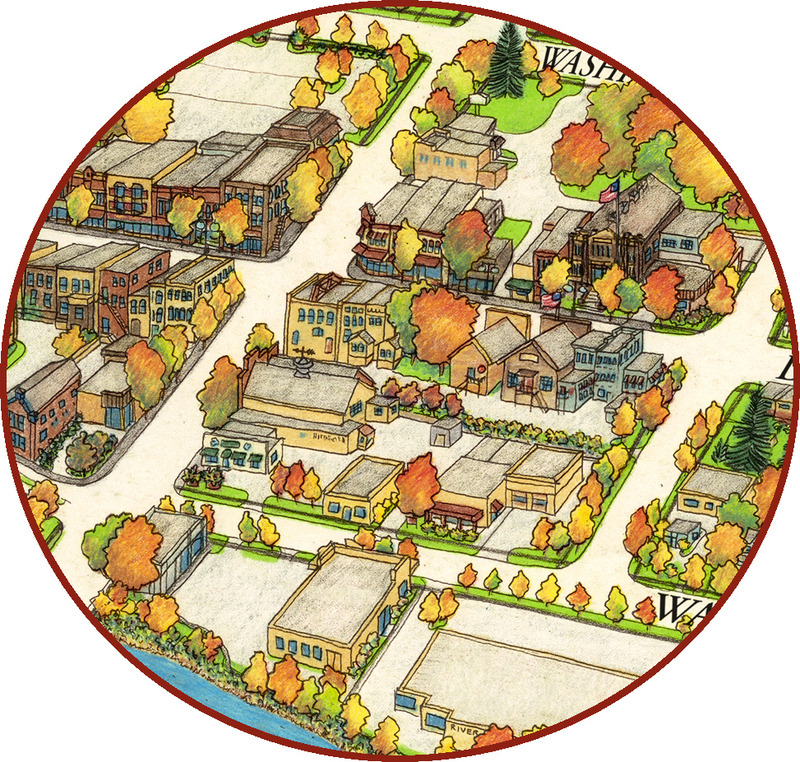 Drawn on two sheets of cotton vellum - 38" x 50", using rapidograph ink pen for the black and white sheet and colored pencils for the color sheet. 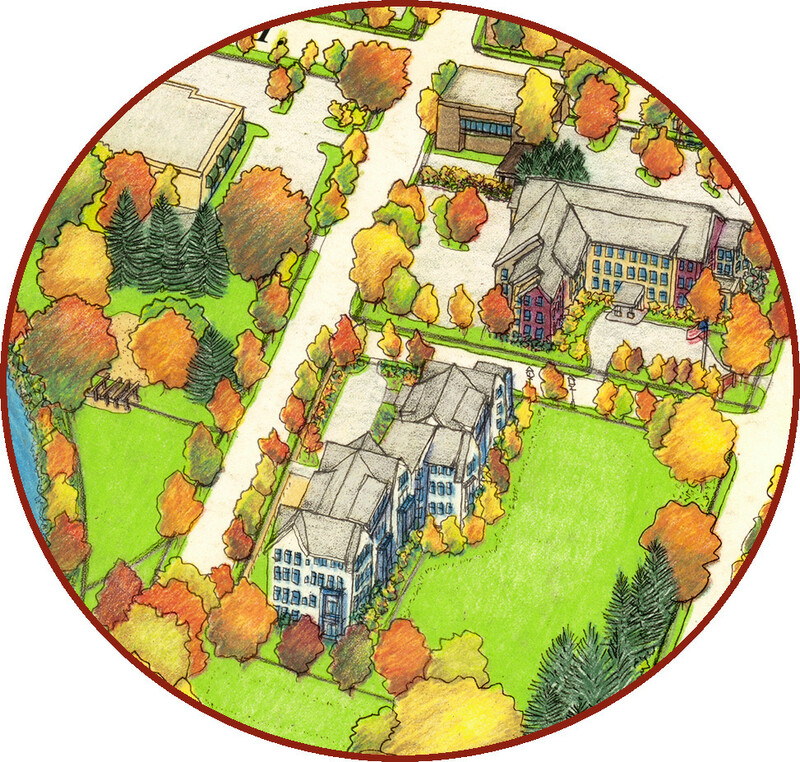 These two large original illustrations were each scanned at 600 dpi and combined in Adobe Photoshop. 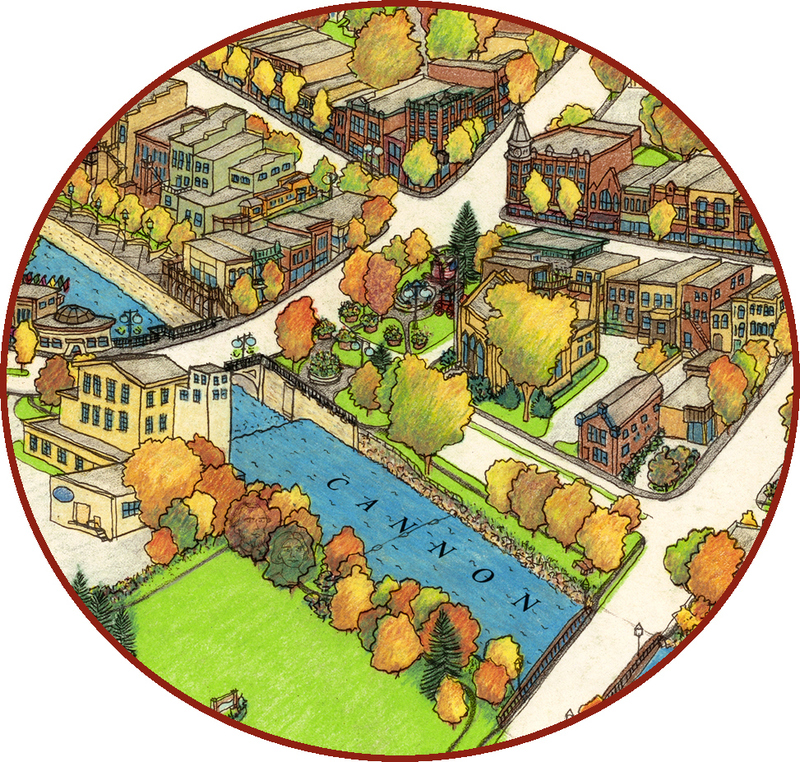 East of Downtown Northfield showing Washington Street and 3rd to 4th Street including the Grand Theatre, United Church of Christ, Carleton Presidents House, old Middle School - now Carleton College Weitz Center for Arts - from the Bird's Eye View 'Map' of Northfield by Jim Bohnhoff. 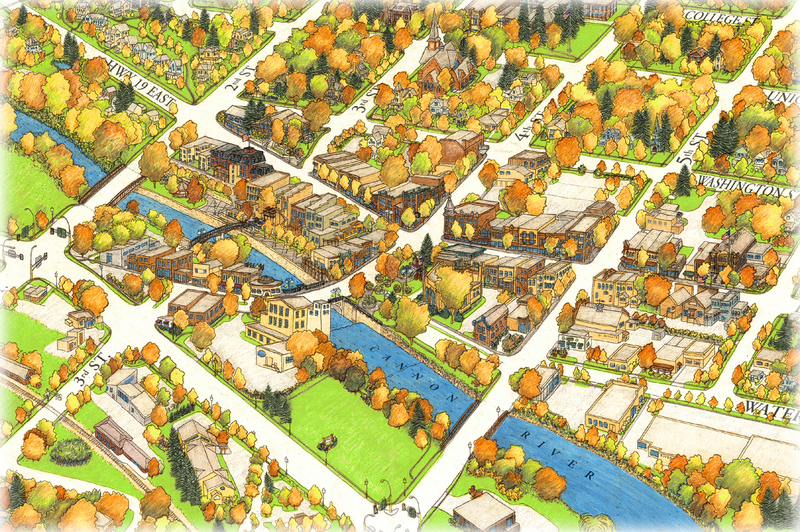 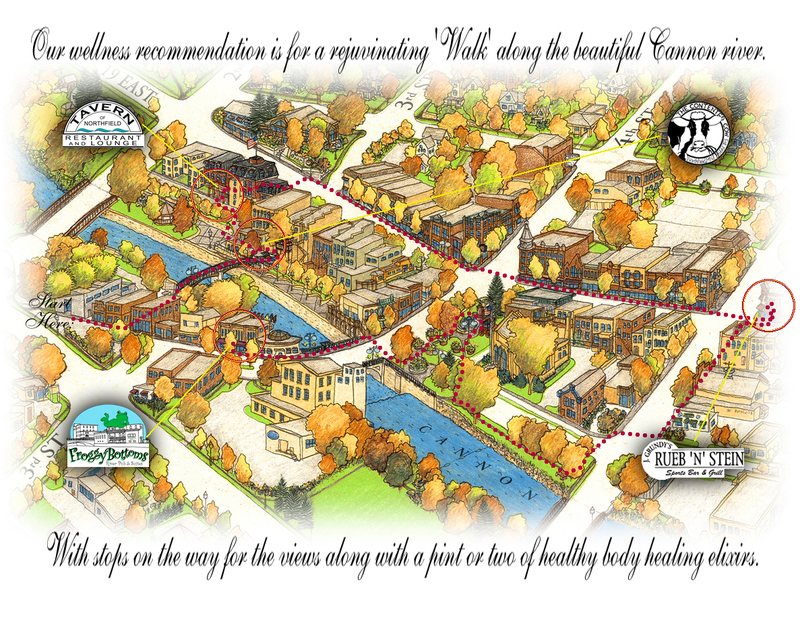 South of Downtown Northfield Division Street and 5th Street including the Municipal Liquer Store, Biermans, Northfield News, Rueb-N-Stein, Armory and Just Food Co-op from the Bird's Eye View 'Map' of Northfield by Jim Bohnhoff.